Since his literary debut in 1958, Paddington Bear has remained one of the most beloved children's characters in British culture - and his fame accelerated even more with his first big screen appearance back in 2014. 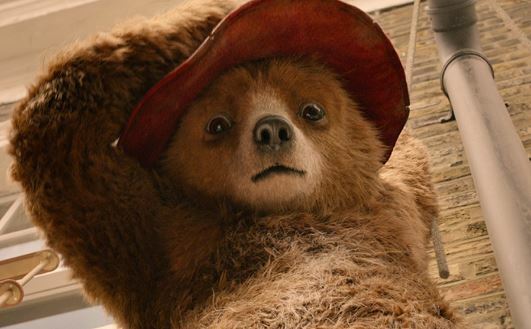 Paddington was both a funny and heartfelt family adventure that ranks as one of my favourite British films for sure, and with it achieving similarly renowned success from a critical and commercial standpoint, a sequel was certainly anything but obvious. Now settled in with the Brown family, Paddington Bear (Ben Wishaw) arranges plans for a surprise gift for his aunt Lucy's (Imelda Staunton) upcoming 100th birthday: an expensive antique pop-up book featuring all of London's most iconic landmarks. After working and saving hard, his goals are abruptly shattered when the book is stolen by an unknown thief, with the blame landing on Paddington himself as he is locked away in an unwelcoming prison. Determined to clear his name, Paddington seeks aid from all those around him to track down the real culprit and ensure he doesn't spend the remainder of his days behind bars; or leave Lucy bitterly disappointed on such a special occasion. Just as before, the most noticeable thing at first glance are the effects: Paddington 2 renders and animates the titular star just as beautifully as the original did, no questions asked. Realism aside, what really deserves acclaim is how much personality is injected into his every movement - you'll certainly never feel like you're staring at CGI, an achievement many films with much higher budgets often struggle to nail. As a character he is as loveable as before, adopting the same polite persona whilst never avoiding the usual goofy antics; funny as ever, not once do they feel over the top, and the overall humour is approachable for a widespread family audience, leaving no viewers alienated, and all these perks are bolstered even further by another fantastic vocal performance by Ben Wishaw. 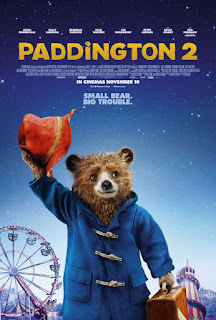 The supporting characters remain just as admiring: Sally Hawkins and Hughe Bonneville flawlessly lead the Brown family as they find themselves involved in many funny yet exciting antics alongside Paddington himself, whilst newcomers Hugh Grant and Brendan Gleeson to name a few are consistently fun to watch whenever on screen, not just because of the refined performances but also the witty characters they portray. They all deliver plenty of laughs whilst still holding their strong narrative importance, and it's this stellar cast of characters and performers that also makes Paddington 2 such an entertaining story from start to finish. But it's not just there to make you chuckle - as with the previous film, there is plenty of emotional depth to this heartwarming narrative. It's never pretentious or overstuffed, instead the many tender moments turn out wonderfully touching and may even feel like you're near some onions now and then. Things also come to an end with a surprisingly gripping climax, though once again thankfully not one trying to take itself too seriously or shoehorn in any tired Hollywood clichés - if anything it's another key moment where the film's impressive visual effects are most evident. All this equates to what is undeniably an even better experience than the original, and that's truly a compliment through and through.